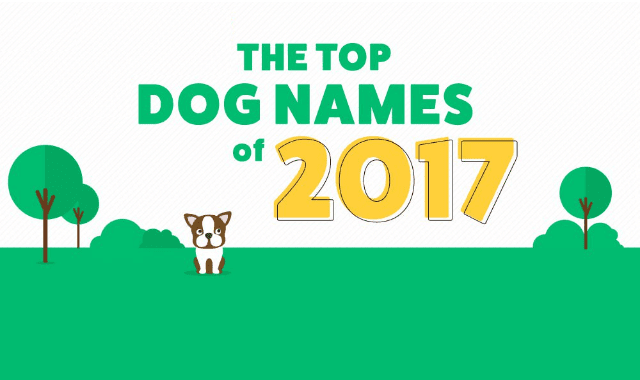 The Top Dog Names of 2017 #Infographic ~ Visualistan '+g+"
We love our dogs more than ever. In fact, over 94% of Americans consider their dogs members of the family. Rover.com - the nation's largest network of pet sitters and dog walkers, and a leading dog name expert - dug into the data from hundreds of thousands of American pet parents to uncover which names are leading leading the pack, and which ones are in the doghouse.